Please note that all vanes listed are interchangable! Always use suggested parts for best performance. 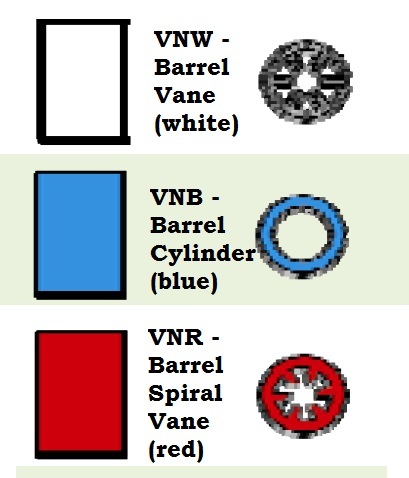 Vane maximized to throw over a wide range of pressures. Barrel cylinder has a larger passageway to minimize the chance of clogging. Spiral vane achieves better stream breakup ( improves uniformity especially at lower pressures ).